A4tech Bloody V7/V8, Bloody V8, Steelseries Kinzu V2 mice have a 3200 dpi PAW/PAN3305 sensor. Lift Distance for this gaming sensor is 2mm. 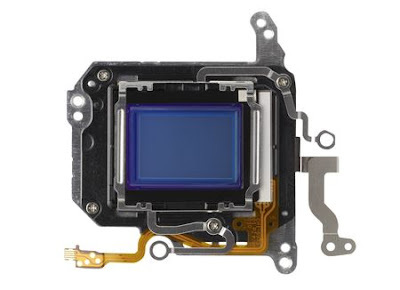 It’s a CMOS image sensor – 30x30 matrix array. It has positive acceleration and a little lag for some mice models. There’s a modification of this sensor PAW3305DK-H with (0,5f) lens, which increased max speed to 3 m/s. 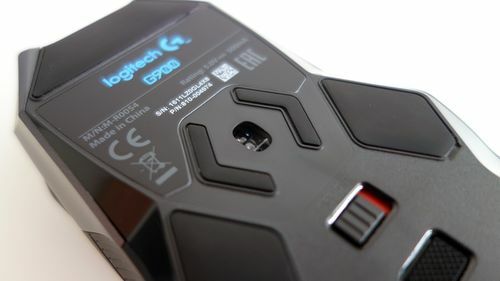 Other mice models with 3305dk sensor: A4tech Bloody V2, Bloody V3, Bloody V5 / V5M, Bloody V7 / V7M, Bloody V8M, X-718BK, X-748K, Gigabyte M6900, NEWMEN GX1-F, NEWMEN GX2, Roccat Kova[+], Roccat Pyra, Sharkoon Fireglider Optical, Speedlink Prime Z-DW, Steelseries Kana, Steelseries WoW Legendary, Zowie Mico. SteelSeries WOW Legendary has the 3305 sensor, 16.8 million color with four light modes, 11 programmable buttons, macros function, measures 40mm x 81mm x 115mm, weighs: 115 grams. It works great in Windows 8, 8.1 10 and other versions. Two Razer gaming mice have optical (not laser) Avago ADNS-s3888 sensor: Abyssus, Deathadder 3.5G. It a 3500dpi infrared gaming sensor with high accuracy and tracking gaming performance. It’s a 30?30 matrix array, 30 pixels for X-axis tracking and 30 pixels for Y-axis tracking. Razer Abyssus has 3500dpi Razer 3.5G infrared sensor, clickable scroll wheel, 2 toggle switches for sensitivity/polling rate adjustment, three programmable buttons. It has two DPI steps: 1800cpi and 3500cpi. It’s good both for big and medium size hands users, we can say it’s a standard size mouse. It fits for claw and fingertip grip. Razer offered four gaming mice models: Deathadder 3G, Boomslang 2007 CE, Diamondback 3G, Salmosa with a 1600 DPI Avago ADNS-s3668 (native dpi – maximum value) sensor. Avago s3668 sensor uses infrared tracking method. Minimum DPI: 450, Maximum DPI: 1800. 1000Hz polling rate provides fast response, what is important for FPS and MMO games. Razer Diamondback 3G has 1800dpi Razer Infrared sensor, seven programmable buttons and On-The-Fly sensitivity adjustment function. Some users reported it could be fairly hard to click side (macro) buttons. RAZER Boomslang Collector’s Edition (CE): Infrared 1800 dpi sensor, 5 programmable Buttons and 1 scroll wheel, USB interface, On-The-Fly sensitivity adjustment. Microsoft Habu and Razer Copperhead have a 2000 DPI s6018 laser sensor (modification of the ADNS-6010 sensor). It’s an advanced laser sensor with high accuracy and high resolution tracking performance and fast response time. Razer-Copperhead has 32KB onboard memory to save up to five gaming profiles. Polling rate is 1000Hz. Some users reported that it’s hard to click side buttons without shifting hand, what makes this mouse inconvenient for gamers. Microsoft Habu has a comfortable shape for different grip types. You can turn off the blue LEDs if you prefer. Some users reported about accidental double-clicks. Logitech G3, G5, G7 gaming mice models have a 2000 DPI s6006 laser sensor (30-pixel by 30-pixel sensor array). Minimum DPI 400; Maximum DPI: 2000. Logitech G7 Laser 2.4 GHz Cordless Mouse Some user reported that this mouse is not for small hands, but it’s compfortable for medium/big hands and different grip styles: palm, claw, fingertip. Laser sensor provides great accuracy. Mouse has five-level power indicator, so you always aware about Li-ion battery’s charge and time when to replace Li-ion battery pack. By using Logitech’s SetPoint software you can customize settings of your mouse: sensitivity (x- and y-axis), buttons binds. Logitech G7 successors: Logitech G3 mouse: the same s6006 laser sensor with two two sensitivity levels: 800 dpi and 1600 dpi; Logitech G5: s6006 laser sensor, 500 USB reports per second, for this gaming mouse you can adjust weight and balance (up to 36 grams). In this article we will review three G-series Logitech mice: G500S, G600, G700s and their Avago s9808 sensor. Avago s9808 laser sensor with minimum DPI value 200 and maximum 8200, 50 DPI steps. The sensor’s test showed impressive tracking performance for 1000Hz polling rate. Logitech G700s gaming mice has onboard memory, so you can store up to five gaming profiles. It has 13 programmable buttons. Pointer customizations: turning off Acceleration. Epic performance for FPS and MMO games. Known Issues: Some users reported about G700s problems: after updating LGS software DPI settings in profiles are getting reset. When Logitech announced G102 mouse (6000 DPI) with higher levels of accuracy budget sensor. There were many rumors about sensor's model: PMW3366, AM010, or even PMW3330. ‘ontrary to the expectations, CGS company (Switzerland) manufactured new Mercury mouse sensor for Logitech G102 and G203 optical mice. Logitech G102 mouse has 6 programmable buttons. Ultra durable Omron D2FC-F-7N switches, long-term use of up to 10 million clicks. In conjunction with onboard 32 bit ARM processor, which computing all measurements at very fast rate. But some user noticed slight lag at high DPIs. With Logitech Gaming Software, you can save more than 300 gaming profiles and programmable 16.8M Color LED settings. Color LED reacts on the mouse movements. Microsoft Bluetrack sensor is a CMOS (complementary metal-oxide-semiconductor) image sensor with ability to track on surfaces like wood, carpet and even granite and switch the sensitivity levels, what is important for gamers. 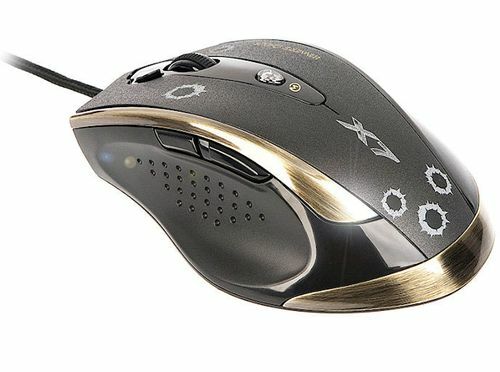 Mice with this sensor: Microsoft Sidewinder X8. This mouse works flawlessly and tracks very well. It has 12 full programable buttons. Old mice with MLT-04 optical sensor: Microsoft Intellimouse Optical 1.1, Intellimouse Explorer 3.0, Wheelmouse Optical 1.1, Blue. Many professional Counter-Strike and Quake players used mice with this sensor, because of it has high accuracy, smoothly movement, the red light of LED is not to bright. Some people bought mice back in 2002-2003, and mice still work after more than 10 years! MLT-04 electronics sensor has a 22x22 photodiodes optical sensing element with no prediction, positive acceleration and perfect control speed. There are two version of the sensor: Latest version: X80 = 9000 Frame Per Second and old one: X08= 6000 Frame Per Second. Avago ADNS-2051 datasheet information. A2051 is a very accurate mouse sensor, it detects 0,1mm movements easily. Logitech high resolution and high frame rate MX300, MX500 mice use Avago ADSN-A2020 sensor. Digital Signal Processor (DSP) captures 4.7 megapixels per second. Many users, who bought MX500 gaming mouse in 2002-2003, are very satisfied with experience. ItХs still working and in great condition after 10 years! This is a good mouse for gaming and office work. Razer Taipan Ambidextrous USB gaming mouse uses a 4G dual sensor system (s9818, and now new improved S9819 sensor). Laser and optical sensors (Dual system), one hole in the bottom of the mouse, but looks like 2 lenses. The dual-sensor array calibrates surface, laser sensor provides great accuracy, oprical sensor acceleration, dpi and dpi increments. In conjunction with onboard 32 bit ARM processor, which computing all measurements at very fast rate, every movement of your hand, every button function action delivered instantly. Razer TaipanХs ambidextrous form suits a wide variety of grip styles and hand sizes: left and right-handed players, palm, claw and finger grip style. Razer Synapse configuration software allows you to save all personal settings: sensitivity, lift-off, keybinds of 9 programmable hyperesponse buttons, macros, Lighting (wheel and logo glow) to the cloud, update drivers and firmware. Save unlimited profiles, configurations for various games and programs. You can calibrate surface to set optimal LIFTOFF RANGE for Razer or non-Razer mouse mat. Robotic cleaners are continuing to improve with technology. The iRobot Roomba 630 is clearly one of the most popular of all-robotic cleaners despite the entry of more new models from iRobot. iRobot is one of the most reputable manufacturers of robot vacuum cleaners and has been considered the greatest among the creators of robot vacuum systems. however, the question is: where does the iRobot 630 stand? With newer models, is this a model that one may want to stick with? Here is an in-depth look at what to expect from the iRoomba 630. • One of the greatest advantages of the iRobot 630 is that it works perfectly on hard-to-clean areas such as under beds, work benches, closet, couches and dressers. • This device is a healer for pet-owners who are sick from sweeping their floors three times every day in order to keep it super clean. • This robotic cleaning device works directly along baseboards thus eliminating all pet hair and dirt that usually gets trapped, or remains behind, when cleaning using upright vacuums. • This device uses a zigzag motion for cleaning each and every inch of your home as opposed to the upright vacuum’s straight line and back and forth motions. • It offers the industry per charge of 2 hours per full charge. This is enough time to clean your rooms. Fortunately, the device will automatically dock itself if it needs to charge. • It has just one virtual wall to prevent it from going into areas it should not. However, with most homes you can find ways around this such as shutting doors to areas you do not want the unit to clean. • This device can not be scheduled to clean and doesn’t have any buttons for this capability. Between all pros and cons of this iRoomba 630, it still rocks as the best robot cleaner for your home. What’s more, it has been around for quite some time which makes it more affordable than several other models without such a bargain in functionality. One of the ways to get more freedom is by saving time on household chores. Think of coming home to a sparkling clean house thanks to the Roomba 620. Vacuuming helps keep your home looking fine and at its best. Let’s take a good look at the iRobot Roomba 620. This device offers significantly higher suction power than most 500 models. This means one thing; more debris, dirt, dust and pet hair gets collected quicker and more efficiently than you may imagine. The price tag associated with this Roomba 620 is $300. This is a little bit higher than the recent models. The Roomba 620 offers a one year warranty. Due to the cost of this device, most customers wish that it was warrantied a longer period of time. However, this product is known for being of the best quality. • Round shape design is amazing. The product is not very tall which means the product can go under any furniture with ease. • Brush design is an improvement on the previous models. Several brushes with different lengths reduce risks associated with elements getting left behind during the cleaning process. • Comes with a very long battery life which means you can clean your rooms without having to worry about the charge. • This device has an average weight of 11.6 pounds. For most homeowners, this doesn’t pose any problem. Despite this, most people will still tend to find it too much work, especially during the initial stage of setting it up. • The filter also requires replacing at least every 3 to 4 months. The Roomba 620 is worth your investment. It’s quiet, yet powerful and efficient. Give it a try, especially if you are on a tight budget but still want to keep your floors looking clean all the time. Users already called this third generation Roomba a “souped-up” discovery (second generation) since it has a bigger chassis and wheels, a better suspension, and it was the first to have the anti-tangle capability to rotate the brushebackwards in order to untangle itself from loose wires or tassels. While you can schedule the iRobot Roomba, it does not have a remote. This robot is perfect for people who reside in small to medium-sized homes who are searching for a cheaper robot cleaner and do not mind working without the full bin indicator, virtual lighthouse and a remote control. Overall, this is a good robot cleaner that works well enough for between clean-up jobs. Unfortunately, iRobotic discontinued this product which means warranty claims may be an issue. Instead, consider the newer 650 model. In a variety of ways, this robotic cleaner is similar to the Roomba 770. Probably, the only difference is that it does not have a full bin indicator. Feature-wise and size-wise, they are similar though the iRobot Roomba 760 has a slightly higher rating than its counterpart on Amazon.com. If you struggle with allergies and are looking for a good robot cleaner with great features, but you still don’t want to spend the extra $100-$200 for an improved dirt-detection system, then sit back and take a really good look at this cleaner. This cleaner would be most ideal for extremely busy parents, and pet owners, as well as professionals looking for a good relief in their vacuuming chores. This is because the machine can easily be scheduled to clean at particular intervals or specific times of the day without requiring supervision. All in all, iRobot Roomba 760 is worth your money. The iRobot Roomba lets busy people spend significantly less time with their vacuuming and cleaning chores and more time with your family or work. You can schedule this machine to clean on its own and return back to the charging base as soon it requires a recharge. Probably, all you really need to do is empty it. This iRobot 780 is an improvement of the iRobot 770 and promises to get rid of 98% of all dirt across different surfaces. This robot vacuum cleaner utilizes a 3-step cleaning system. First, it uses a prolonged side brush all the way to the corners, grabs dirt and flings it over to the second step. This one involves counter-rotating brushes that work as a dustpan and broom to pick-up debris that side brushes throw to them. The third involves suction which is utilized to collect and deposit the dirt in a dustbin. Also, it has soft touch bumpers so that it does not damage furniture. The robot cleaner signals as soon as the bin is full. It goes back over all dirty areas it detects. • Has an improved containment system which utilizes a lighthouse as opposed to a virtual wall. • Can bump your door and lock itself in a room if the door is light enough. This is a great automated vacuum cleaner that does a good job particularly on hard floors and is excellent on carpets. You need to do is play your part well: regularly clean its brushes and sensors in order to get rid of clutter. Otherwise, it’s worth buying. This iRobot cleaner is one other weapon from iRobot’s vacuuming arsenal. Here is a review discussing how this specific model measures up. This iRobot Roomba 770 does all the work on your behalf. It does the vacuuming and cleaning with just a touch of a button. This cleaner collects all the debris and dirt from hardwood, tiling, carpeting, and just about any type of floor. This vacuum cleaner is your perfect solution for homeowners with allergy-sufferers or pets. It comes with the AeroVac Series 2 Technology that is designed to get rid of pet dander, pet hair, and dirt as well as dust from your floors and carpets. Vacuuming bin for pulling hair off the brushes and putting it into the bin. On-Board scheduling which allows you to pre-set your iRoomba for vacuuming. You can pre-set it for up to 7 times a week. Three cleaning modes which allow you to have quick spot cleaning. You can pre-set this device using the scheduled mode. Adjusting sensors which navigate the iRoomba under beds, furniture and the edges of curtains. These sensors detect dirt and get to all areas of your rooms. Warranty: This machine comes with a 30-day warranty as well as a money-back satisfaction guarantee. This model is one of the best robotic cleaners in the market. It’s the only model that offers a 3-stage cleaning system. The price of this model is a little higher than other models, but it really offers many more benefits and is, therefore, worth considering. iRobot Roomba 880 was 5-stars rated by many customers. It has four front and two rear cliff sensors (iRobot won’t fall down stairs), two bin sensors, bumper sensor (touch-sensitive, iRobot won’t damage furniture, walls and other obstacles), optical, RCON (Room Confinement Sensor) sensor. Dirt Detect 2 includes acoustic and two optical sensors to find dirt and debris. Acoustic sensor (piezoelectric) determines noise level near places with highest concentration of dirt and then spends more time cleaning them. Two optical sensors (IR emitter and receiver) registers dirt as it hits the brush, to measure the how much dirt being sucked through the machine. Cliff sensors (which identify when it's too close to a ledge (stairs and steep drops)). iRobot Roomba 880 has Self-Charging, Multi-Room Navigation, Scheduling, Tangle-Free Debris Extractors, 3-Stage Cleaning System, AeroForce 3-Stage Cleaning System (5x the air power) functions. Programming this robot is a breeze. Select the day, enter a time, and click the “OK” button. As long as you’ve set the clock properly, this machine will trundle off on a cleaning run and go back to base when finished, or run out of battery power. This robot is able to clean several rooms on a single charge, spending a maximum of about half an hour in each room before moving on to the next one. It's two “Virtual Wall Lighthouses” help stimulate a virtual wall in doorways to prevent the robot from entering the next room until it has cleaned the first. This Roomba cleaning robot cleans well, but not as well as a human might. It cleans with continuous little clicks and beeps. The central suction band and spinning brush perform a solid job of cleaning even the edges of your rooms. Also, this robot comes with a remote control which can be used to steer the robot towards really dirty patches. The bin, drop sensors, front wheel and air filters all require regular maintenance on, at least, a weekly basis. Pros: Hassle-free cleaning, easy programming and maintainance, effective cleaning, remote control. Cons: It’s quite expensive and will require an additional cleaner for the attachments for uses such as cleaning stairs. It also requires filter changes. Canon EOS Rebel T6i (EOS 760D) camera has new improved 24.2 MP APS-C CMOS Sensor (22.3mm x 14.9mm, crop factor 1.6x) with on-sensor phase detection pixels and a low-pass filter that blocks high spatial frequencies to reduce the moire and false-color effects, 3.7µm photodiodes, color-sensitive meter sensor for improved accuracy. IR-absorbing/UV-blocking glass filter: Blocks light outside the visible spectrum, to improve color fidelity and image quality, Primary color filter: separates the light into primary (RGB), Imaging element: Receives the light and turns it into a digital signal. DIGIC 6 image processor with 14-bit processing and 24.2 MP image sensor enable wide dynamic range, high range ISO performance for its class: native: 100 to 12,800, expandable to 25600; AutoISO up to 6400, video recording mode: 12800, low noise on high ISO and fast autofocus in Live-view mode. Canon 760D (T6i) includes new 19 points Hybrid CMOS AF III uses sensor-based phase detection points for increased focus speed and accuracy in live view. Canon USA confirmed that some T6i cameras affected by the speckled sensor, which resulted in the appearance of dark circular patterns. Canon 760D and Nikon D5500 shoot at 5fps. Razer Deathadder Elite is accurate, very comfortable gaming mouse. It has new superior responsive, flawless Razer 5G Optical Sensor with DPI wide range from like 100 to 16.000 and capable of 50 DPI increments, Max tracking speed: 450 IPS, Max Tracking Acceleration: 50G, Max Stable Polling Rate: 500Hz/ 2ms, No Hardware Acceleration. You can calibrate mouse sensor for specific surface. There are two mouse versions: for right and left-handed palm grip players. As users reported this mouse is comfortable for normal and bigger sized hands, if you have small hands you should find something else. Razer Deathadder Elite is the first Razer mouse with Mechanical Mouse Switch Using Omron switches (ultra durable switches, long-term use of up to 50 million clicks or more). It has 7 multi-function buttons plus Tactile Scroll Wheel button. All the buttons are sensitive and responsive. The thumb buttons on the left side of the mouse are easy to reach. On-the-fly sensitivity adjustment function (Two additional DPI buttons at your fingertips) allows to adjust DPI when you need high sensivity for lighting fast moves or low sensivity for best headshots. The Razer Synapse app let’s you customize 16.8 million customizable color combinations of Razer Chroma RGB lighting. You can set up solid colors or reactive effect for lighting. Some users find lights to be slightly distracting at night. Razer Diamondback Chroma Ambidextrous (2015 Edition) is a lightweight gaming mouse with excellent Philips PLN2037 laser sensor with 16,000 DPI and capable of 1 DPI adjustments, 210 inches per second / 50 g speed/acceleration and 1,000 Hz ultrapolling / 1ms response time. Barely someone will use 16,000 DPI, so high sensivity, but 10,000dpi more than enough for any tasks. 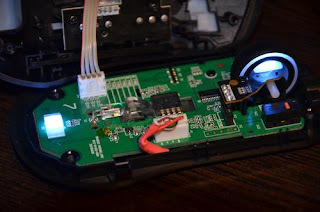 Philips mice sensors were sensitive to the roughness of the surface, but these issues were eliminated in the new models. Polling Rate, Up to 1,000 Hz / 1ms response time. All this made this mouse very precise. Diamondback has a symmetrical design, so it can be used by right and left-handed users. The mouse suits a wide variety of grip styles and hand sizes. It’s good for both claw grip or palm grip, the button layout is instantly familiar. All seven buttons can be remapped and saved in multiple user and game profiles in the Synapse software. It’s is very convenient to play FPS and MMO games. Weight is 89 g / 0.09 lbs (without cable). 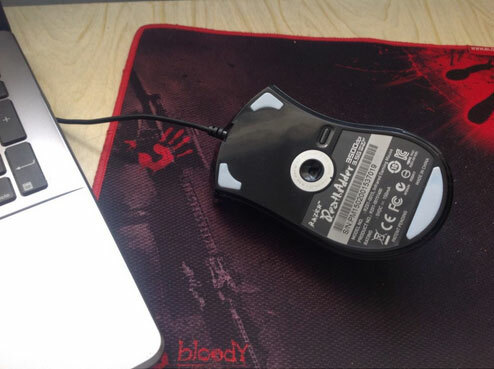 Some female users reported that the problem is the large size of this mouse. Razer’s Chroma RGB lighting has 16.8 million customizable colors. You can customize backlighting of Razer Diamondback logo, scroll wheel and side panels, create your own lighting effects. The Rival 100 gaming mouse is a great budget solution for those looking to maximize gaming sensor technology with proprietary software, a sturdy build, and an overall well-polished "entry-level" gaming mouse. Because the Rival 100 uses a SteelSeries SDNS-3059-SS optical sensor it's guaranteed to reduce jitter, and increase performance response, precision, and works up to 4,000 CPI - although not a recommended setting for most games. It is set by default at 2,000CPI, and in reality, the majority of gamers don't need to actually use a 4,000-8,000 CPI sensor. The previous decision of Steelseries using the A3060 and it's performance as well as popularity among serious gamers has led to it now relying on the A3059. And at 1,000Hz it definitely outshines much of the competition for gaming mice. Ultimately, users are very satisfied with the Rival 100 Gaming Mouse's ability to work up to 127 counts per poll, while the biggest challenge is ultimately with the bandwidth, not sensor technology. suring physical distance, may it be static or lifting (LOD) the sensor off of a surface. GIGABYTE is a very trusted brand among both PC users and gamers, as it's been making motherboards for quite some time, and recently as demonstrated with the XM300 has focused on making affordable, precision gaming sensor mice that are sure to meet your demands. Using Omron switches (ultra durable switches such as the DCFC-F-7n switch ) you can count on consistent, accurate, and long-term use of up to 20 million clicks or more. And, with an SDNS 3988 optical sensor, you'll enjoy a responsive, multi-function 6 button (plus scroll wheel button) mouse designed with intense FPS in mind. It also includes a really nice, easy to use Macro Engine software that's great for modifying color and brightness of it's RGB lighting - which makes it easier and more convenient to see the necessary buttons. It uses a powerful operating click response force of approximately 0.74N, which means click response is precise, not overly sensitive, and transmissions remain both smooth and practical. As for polling rate, which also equates to lag time, is by default at 333Hz. An added custom feature of the GIGABYTE XM300 also allows you to set it lower from 125Hz, all the way up to 1000Hz. So, this allows a polling rate range of between 8 and 1 m/s. The higher polling rate of 8 m/s is optimal for serious gaming, which in turn, makes this hands down the most customizable gaming sensor mouse on the market in this price range. The Logitech G900 gaming sensor is designed for programmers that enjoy a light mouse, trigger sensitivity, and who are looking for the best in acceleration and minimizing jitter - even during use of DPI settings as high as 8000. The Logitech G900 was built to respond to tiny movements effectively, but not so tiny that they're unwanted. The G900 is a great gaming sensor with a performance that has yet to be matched, especially when it comes to games like Unreal Tournament, League of Legends, and other FPS or MMORPG’s. The G900 gaming sensor uses a 1m/s polling rate, so lag and stutter become a part of the past as far as gaming goes, so it's absolutely a top choice for those playing FPS. The G900 gaming sensor performs great in nearly every configuration, and as far as jitter tests it outperforms previous models - at least up to around 12000 cpi, which is expected. The LOD or lift-off-distance is also under 1CD, which means no surface tuning is necessary for anything under 1.2mm. Starting at a DPI of 200, it can record movements all the way up to 40Gs while still multitasking reading surface speeds at up to 300 inches per second of travel, which means an extremely responsive ability to aim, fire, duck, and hide during game-play. The G900 also uses 16-bit data transmission, and because it polls at 10000Hz (including in wireless mode) the 32-bit ARM Cortex processor ensures consistent signals of 2.4Ghz transmission from mouse to PC. The Logitech G900 sensor also has little to no drag, whether from a static start point or repositioned, which means this gaming sensor was built to respond consistently, and operate practically on multiple surfaces. Both the Zowie FK1 and FK2 are great choices for serious gamers, and recently Zowie re-released these specific models to get around the infamous 15 m/s click delay. The FK1 is a bit on the smaller side, so if you have larger hands than an FK2 would make the most sense. Though, the Zowie FK1 is a nice choice as it includes practical IR-LEd illumination, which is both appealing and strengthens your ability to locate buttons or your macros quickly during use. It also has an updated surface for comfort and stability, along with 24 (rather than 16) steps on it’s scrolling wheel. It is also worth noting that both the original FK and the FK2014 that were redeveloped and released to get around clicking "bugs" still use the same, Avago 3090 sensor. The FK1 is also a great choice if you do a lot of gripping or “clawing” during gaming. The FK2 is unique because it is an Ambidextrous designed gaming mouse, includes Huano switches, and uses an Avago 3310 optical sensor which is very popular among gamers. Given its capability of changing your DPI on-the-fly it remains a popular hit with those that frequently play FPS. It also has an adjustable polling rate, which maximizes customizability in it's response time, and reaction force. Though, as mentioned earlier it's a bit on the smaller side, and the seemingly "mediocre" scroll-wheel design can take away from the enjoyment of using this gaming sensor mouse technology. It also has small side-buttons, which can be a downside for those with larger hands and fingers. The EC-1 A Zowie Gaming Sensor technology mouse is an excellent choice for gaming, is ergonomic, and designed for right-handed users. And with an Avago 3310 optical sensor which allows you to push up to 3200dpi, reaction force and modification abilities are optimal to say the least. With 5 buttons it's perfect for gaming, designating macros, and it doesn't require any software which adds to overall ‘out of the box’ convenience and use. It also allows DPI alterations during gameplay and can be selected to run at intervals of 400 (great for games like DOTA 2), 800, 1600, and of course 3200dpi. 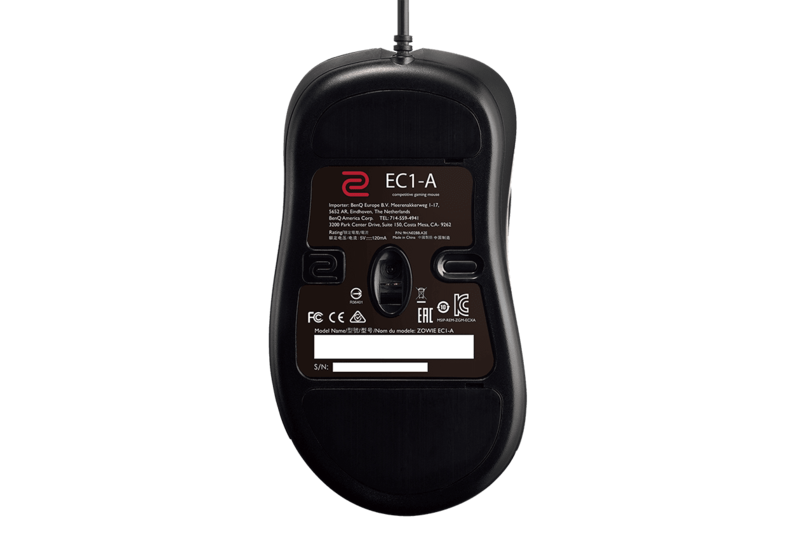 The Zowie EC1-A gaming mouse sensor also allows customizability to adjust your USB report rate from 125, 500, and a maximum of 1000Hz. It’s also designed to work both on a Windows or Mac PC, which is a nice added flexibility for gamers using different systems. One downside for gamers, however, is that the DPI settings are on the bottom of the mouse, so this can be a little frustrating. Albeit, its' a very simple solution to a gaming sensor technology and mouse, so for those just getting started, or looking to test out the Zowie gaming mouse models this is an ideal product to go with. 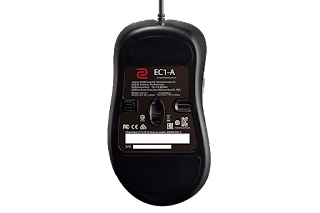 Overall, most gamers that frequent LAN-parties will find the Zowie EC1-A to be a perfect solution to just plug-n-play, and even though it doesn't include any driver software, the reality for many gamers is that beyond initial setup, most will not find themselves very frequently adjusting these performance elements of their gaming mouse. Also, few gamers have complained about the "pre-travel" due to the forward side button, although many gamers have enjoyed and still desire Huano side-buttons, so, to each their own. If you're looking for the best gaming sensor technology on the market, then chances are A4Tech's X7 F3 top of the line gaming sensor is the ultimate, premium grade choice for you. It has a very high response of 3000 CPI, and with 160kb memory is great for programming and using macros “on-the-go”. The A4 X7 F3 gaming mouserelies on a trusted PixArt sensor and has fantastic tracking, with perfect control speeds of around 3 m/s, with minimal "noise" when playing FPS. Considered an "entry level" gaming sensor, the performance matches what it's designed to do, and albeit not as powerful as a gaming sensor like the A3090, it definitely tops the A3050 gaming sensor technology. This mouse gaming sensor has been trusted and is popularly used in gaming mice such as the SS Kana, Zowie Mico, and the Kinzu v2 all premium quality gaming mice. The A4 Tech X7 F3 gaming sensor can take some getting used to, though, as the adjustable dpi goes from around 200gpi to 1800dpi in around 200dpi intervals, and then ultimately has the capacity to jump to 3000dpi. However, on the bright side, the X and Y axis dpi can be modified separately, which is a big perk. Last but not least, the setpoint equivalent is easy to use and understand, and if you switch modes while playing it can be exited with ease, which ensures the custom bindings of the mouse. Dryer Moisture Sensor not working What to do? LG washer load sensor not working. How to repair?